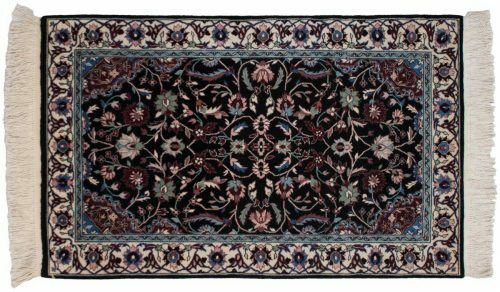 Kerman rug designs are usually composed of floral forms, bound together with roaming tendrils and sprays that make an exclusively graceful and elaborate decoration. 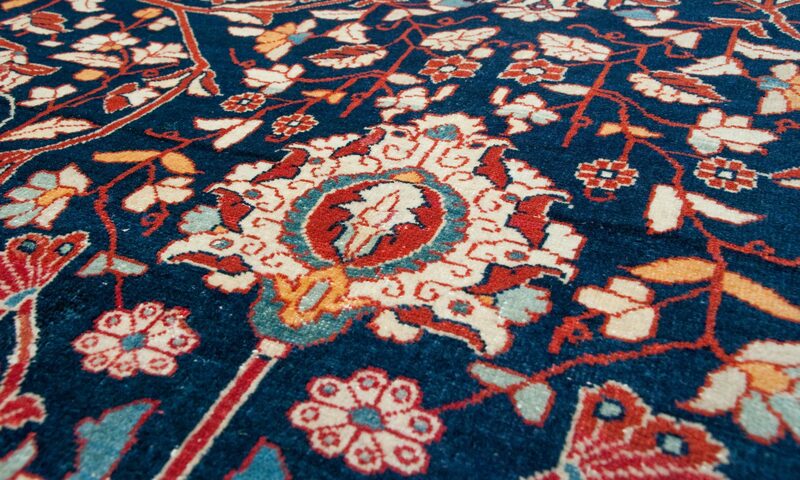 The colors are one of the outstanding achievements in Kerman rugs. 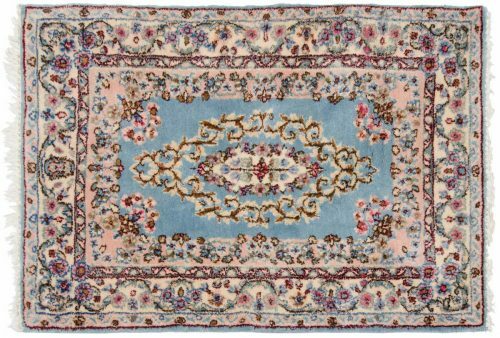 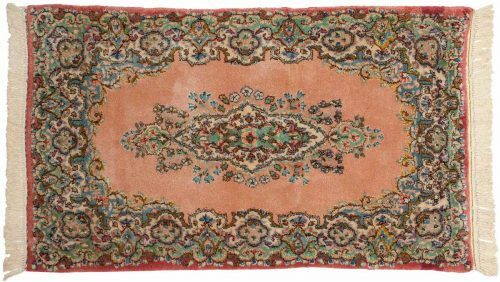 Fine highland Persian wool permits of pastel shades in soft rose, rich gold, ivory, green, sky and deep blue. 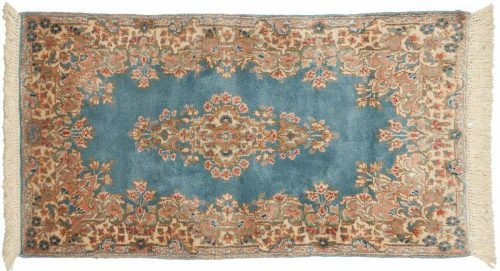 This unusual, different kind of wool is endowed by nature with qualities that make it ideal for this purpose, combining silky softness with remarkable durability. 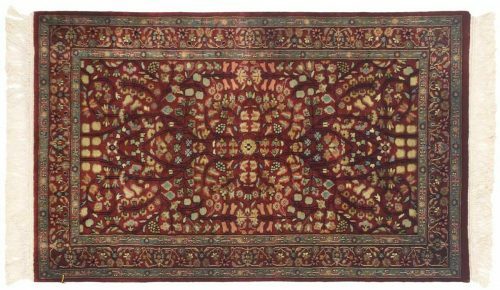 The knotting of Persian Kerman rugs is generally fine and compact. 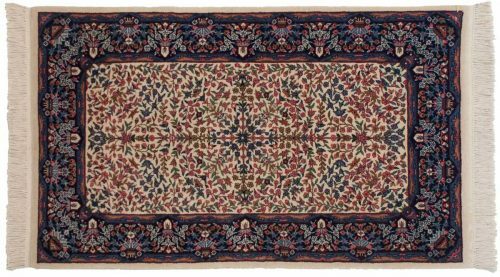 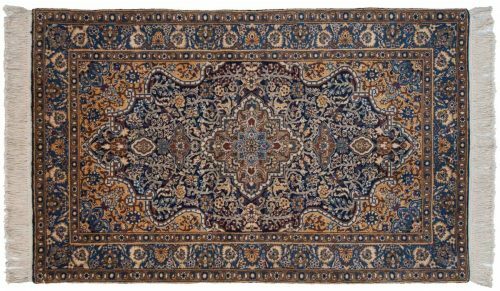 Dilmaghani Cyrus Crown® carpets, produced for decades in the 20th century, were the finest Kermans imported to the United States. 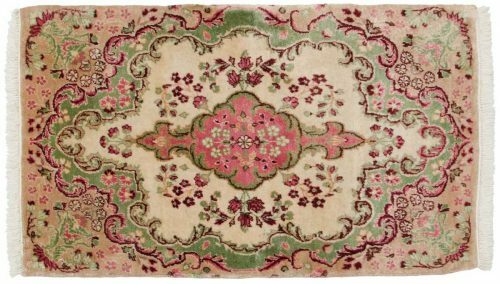 They CC Kermans still are among the most sought after Oriental rugs in the market today. 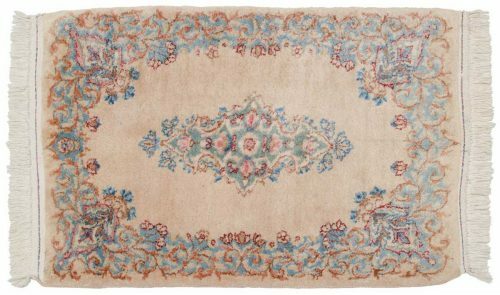 To find more about Dilmaghani’s Cyrus Crown® rugs, visit CyrusCrown.com.